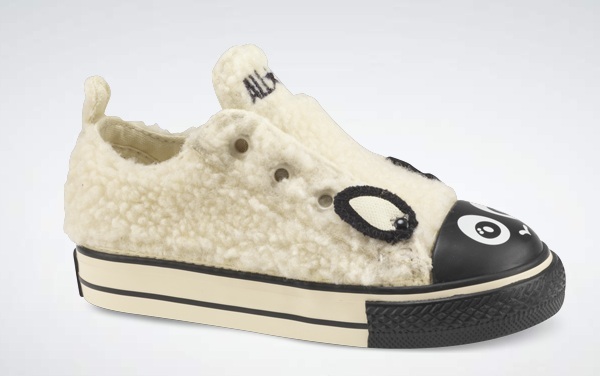 Converse goes to the farm with its Animal Collection! 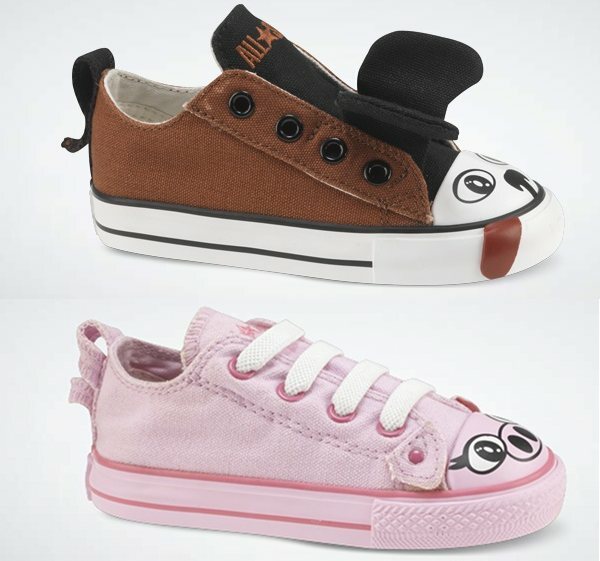 How much more cuteness can we handle from Converse? A whole lot, we say, as we fall in love with another inventive take they’ve come up with for the humble sneaker! 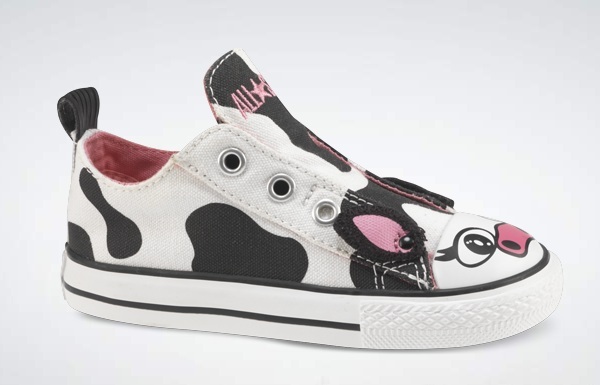 These Chuck Taylor animal shoes are a toddler’s dream. Although I’d have loved a black cat pair, all the tried and true kiddy favourite farm animals are here – dog, sheep, pig and cow. We loved the recent Dr Seuss Converse sneakers too. Converse is ensuring that families won’t be able to choose just one pair – we recommend spanning an entire year of growth by purchasing each design a size bigger than the last! They’re US$35 a pair – you’ll have to seek a reshipper at the moment – from Converse.